Microsoft also announced its Windows 8 Upgrade Assistant. Windows 8 Upgrade Assistant is like a Windows 8 version of Windows 7 Upgrade Advisor. 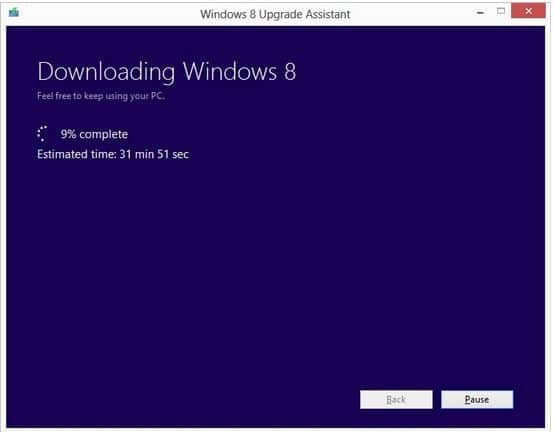 The assistant will download Windows 8 when you purchase it from Windows.com and will let you know what hardware and software installed on your computer are compatible with Windows 8. The upgrade assistant can burn or create a bootable copy of Windows 8.